Special design pad printer for mobile phone case PM2-100T Pad Printing Machine can print 2 colors at one time. Its printing speed can reach 1400 pcs per hour. With closed ink cup, you can save 60% ink and 90% thinner. Closed ink cup to drive by independent cylinder, so that can ensure removing ink completely and prolong the life of sealed cup and steel plate. Sealed Ink Cup Pad Printing Machine adopt tungsten steel doctor blade which is HCR63 degree hardness, With high wear resistance, it can friction nearly 300 million times, more fuel-efficient and more environmentally. It can be used for 1 or 2 color pad printing one time, it has precise shuttle for good color-process. Applicable for printing flat & round surface, such as cell phone button, golf, toy, pens, PC mouse, and small electronic accessories etc. It is easy to operation and maintenance, convenient to replace ink, cleaning ink tray. machine working stable and high speed. other 98 different countries. 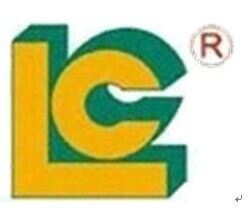 We are sure LC is your best choice. 1,We take leading position inprinting equipment industry and enjoy a good brand reputation both at home and abroad for our high quality products with reasonable price and first-class presale and after-sale service. 3,Use imported materials for operative parts- Primary UV lamps made by England ,stable and durable. 4,The application of machine is applicable in many fields. 1. One year garantee for machine and maintain is lifelong.